This is a quick tutorial to explain how to export an event from Facebook to Google Calendar. Here I will talk about a browser script that will help you export any Facebook event to your Google Calendar. It can save the name, time, and description of the event in your calendar in just one click. 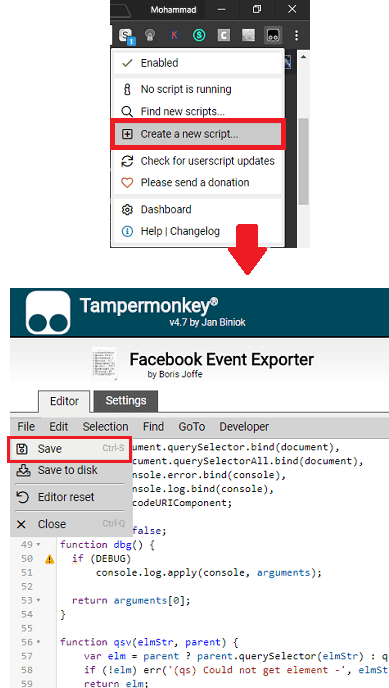 There is a simple browser script that can be run through Tampermonkey Chrome add-on to instantly export any Facebook event. And this script works in other browsers as well. Apart from Google Chrome, you can use the same script in Firefox and Opera. If you more often use Google Calendar, then you can now keep Facebook events in it easily. If you manually create an event in Calendar then it takes time. But if you use the simple script that I have mentioned in the below post then you will be able to do that pretty quickly. 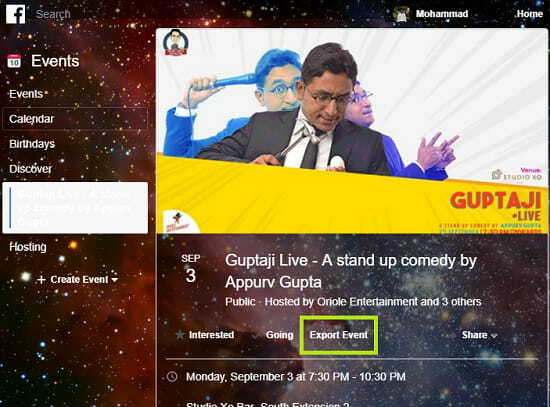 It adds an export button on the Facebook event page that you can use. And it will take you to the Google Calendar page and will fill all the fields. You just have to save that. 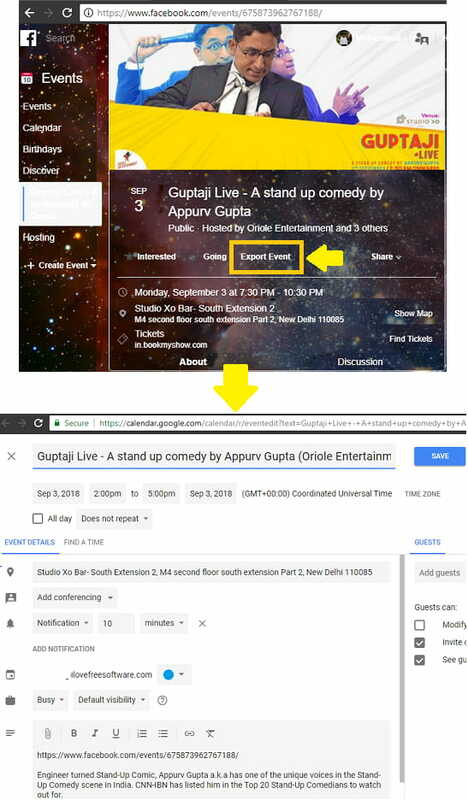 How to Export an Event from Facebook to Google Calendar? Facebook Event Exporter is a simple and an open source script that you can install in your browser to export Facebook Events to Google Calendar. For Chrome, you can install it with Tampermonkey, in Firefox with GreaseMonkey, and with ViolentMonkey/TamperMonkey in Opera. Install TamperMonkey extension in Chrome if you don’t have it already. Simply copy this script from its GitHub page. After that, click on icon of the TamperMonkey extension and select “Create a new script…” option. Next, paste the script in it that you copied. And finally save it using the File > Save option. Now, go to any Facebook event page and open it. You will see an Export Event button on that page. If you don’t see the button, simply refresh the page and then it should be visible. Click on it and then it will take you straight to the Google Calendar page. It will automatically fill the fields like time, title, description, etc. You just have to save the event in the calendar. In this way, you can use this simple script to export any Facebook event to Google Calendar. And you can do that in just a few seconds by just clicking one simple button. However, do note that, the export button only shows up on the About page of the event and not on the discussion page. Facebook Event Exporter is simple and a very nice tool that you can use to export any Facebook event to Google Calendar. And you can do that in just a single click. So, if you are looking for a quick way to add any Facebook event to Google Calendar directly then this tutorial will be so helpful.